Mr. Mastin graduated from California State University, Fresno in 1977 with a Bachelor of Science in engineering and an emphasis in Surveying and Photogrammetry. Mr. Mastin worked in private practice in surveying and engineering firms until 2002 when he became a full time lecturer for BioResource and Agricultural Engineering department. 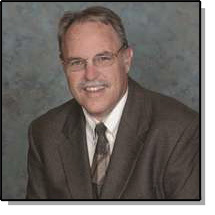 Mr. Mastin has also worked with the California Board of Professional Engineers, Land Surveyors and Geologist (formerly Board of Registration of Professional Engineers and Land Surveyors); as an expert examiner, expert witness and member of the land surveying technical advisory committee.